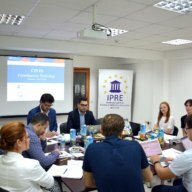 The IEP currently conducts projects on the implementation of the Association Agreement between the EU and Ukraine and on the fight against corruption as well as on the process of national identity-building in Moldova. The goal of the training cycle is to increase the Ukrainian financial regulators’ capacities to implement the EU-Ukraine Association Agreement (AA) and to coordinate inter-institutionally in the field of financial services association. CiSEP is a Capacity Building project for Civil Society Organizations (CSO) in Ukraine. It enables the participants to critically guide and effectively influence the implementation process of the EU-Ukraine Association Agreement. The workshop series is dedicated to Moldovan civil society organizations with the goal of strengthening the coordinated fight against corruption at the horizontal and sectoral level. 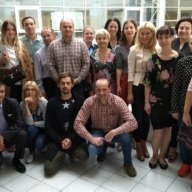 The GIZ training cycle is part of the „Reform Advisory Funds”, which support Ukraine in sustainable implementation of the EU-Ukraine Association Agreement e.g. in form of training, IT solutions and personal capacities.